There are plenty of air purifiers that offer you things like “mountain fresh air”, or promise to “clean your air” with the power of “active oxygen” or “energized oxygen”. What all of these code words mean, however, is that these air purifiers generate ozone. Companies that make ozone generators advertise that ozone cleans the air in your home. They claim that it breaks down mold spores, chemicals, and airborne pathogens at the molecular level. When it comes to that bit, they are being honest. But, what they fail to tell consumers, however, is that ozone is indiscriminate in the molecules it is breaking down. Ozone is a volatile and dangerous gas, and it can’t tell the difference between molecules in the air and the molecules that make up the lining of your lungs. There has been a deluge of evidence mounted against ozone generators, proving that exposure to even moderate quantities of this harmful gas causes severe damage to people’s respiratory and olfactory system. Children exposed to ozone generators are infinitely more likely to develop asthma than children who are not. Since there have been so many studies to find the presence of ozone in the air harmful, the Environmental Protection Agency has passed regulations prohibiting the use of ozone generators in professional buildings, many air purifier manufacturers have begun producing appliances that use different technologies to clean the air without the harmfulness of ozone. This has resulted in the best PlasmaWave air purifier technologies. One of the ways that air purifier manufacturers market appliances that clean the air without producing harmful amounts of ozone is by replacing their “corona generators” (ozone generators) with technology that produces Hydroxyl Radicals. Sometimes called “hydroxyl ions,” these particles are produced when ozone is broken down by ultraviolet lights and then made to recombine with water molecules. These hydroxyl radicals are extremely unstable, and within seconds they cling to contaminants in the air surrounding the air purifier and break them down at the molecular level, destroying Volatile Organic Compounds (VOCs) such as chemicals or harsh fumes, and it even destroys bacteria, germs, and viruses. Hydroxyl radicals occur naturally in the Earth’s atmosphere. However creating them in a machine requires a different process. And while we aren’t atmospheric scientists there are some things you may want to read up on before using them in your home. For example, due to the nature of hydroxyl radical production and the ozone required to produce it, some experts warn that any appliance that produces ozone should be avoided in any building where humans or animals live. A problem that scientists have with hydroxyl-producing air purifiers is that they often will mix pure ozone with their hydroxyl radicals in order to speed up the air cleaning process, but their advertising will be worded in such a way that it appears their air purifiers produce no ozone at all. Another potential problem with hydroxyl ions is that the production of them outside the body may cause them to be produced inside the body, in the form of “free radicals”, which are known to cause damage to cells and organs. However, the evidence is mounting to show that inhaling hydroxyl radicals will not cause free radicals to be produced in the human body. While there are always going to be people who scoff at the use of compounds and non-mechanical filtration to clean the air, there doesn’t seem to be much in the way of evidence supporting the idea that hydroxyl radicals are actually harmful. So if you like the idea of getting your air as clean as possible as quickly as possible, the biggest risk to your health in regards to hydroxyl-producers is the potential to produce too much ozone. So, as long as you make sure to shop carefully, there isn’t much to worry about when looking for a hydroxyl-producing air purifier. Something to keep in mind when buying an air purifier is that the right unit varies depending on who’s buying it and why. The homeowner with a huge living room and family members who smoke will not need the same air purifier as a college student living in a studio apartment. The Winix HR1000 is one of the company’s newest PlasmaWave® machines. The exterior is a huge improvement in our opinion, and the addition of WiFi connectivity is pretty cool too. Winix is gearing up for some really awesome improvements to their product line ant the HR1000 is an excellent example of the direction Winix is heading. The new CD (Coated Deodorization) Carbon Filter is a really innovative approach to removing odor and VOCs. The machine is also pretty quiet… on low it’s only producing 26.4 dB. Which is pretty impressive. It’s not sized for a huge space, but it is rather adequate at 400 square feet. Especially at this price point. Filter life is a little above average at roughly 12 months between changes (depending on air conditions of course). But when it does come time to order a new set, you’ll be happy to see that replacements are very reasonable. We like it… it’s a very well thought out product with a lot of features. 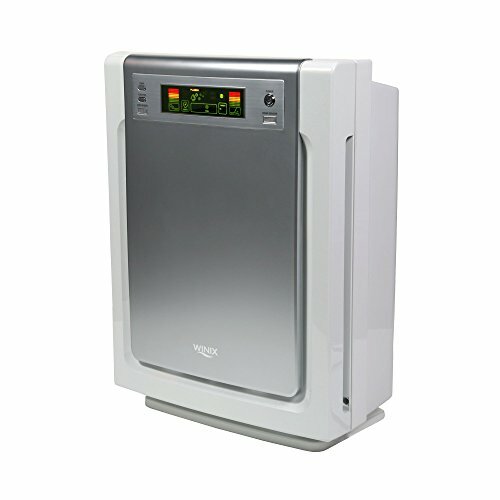 The Winix PlasmaWave 5300 is a large room air purifier from South Korean company Winix. Certified for rooms up to 350-square-feet, this unit is most suited for large living rooms or open-concept apartments. While it does not have a remote control, there is an automatic sensor that adjusts the speed of this air purifier depending on the quality of the air in a room. But don’t worry about running this one for too long—all Winix products are Energy Star Certified! 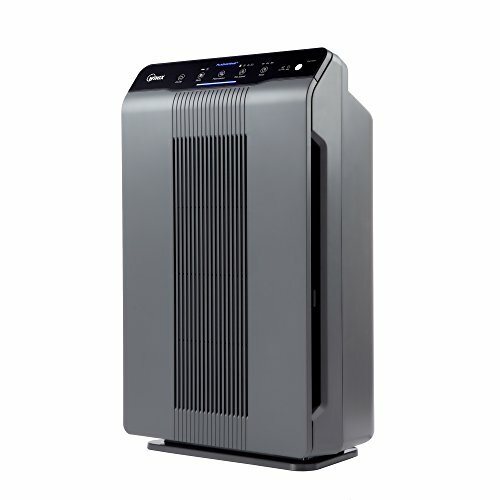 The U450 is another large room air purifier from Winix. It combines many of Winix’s technologies to provide one of the best cleaning experiences available. The purifier offers a True-HEPA air purifier, PlasmaWave technology, and a washable activated carbon filter. These three features combine to rid the air in your home of allergens, odors, harsh chemicals, mold spores, and pathogens. The Winix WAC9500 Ultimate Pet is the best air purifier that Winix offers for pet owners. The Winix offers some great filter features. 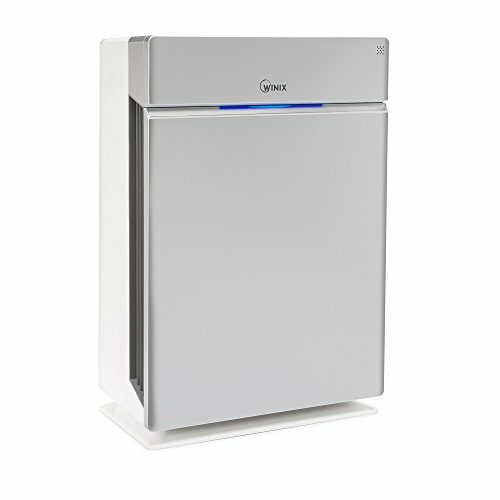 The unit houses a true HEPA filter as well as a washable Advanced Odor Control (AOC) carbon filter. Add inPlasmaWave technology, and the Ultimate Pet from Winix becomes a scent, odor, and allergen killing machine. 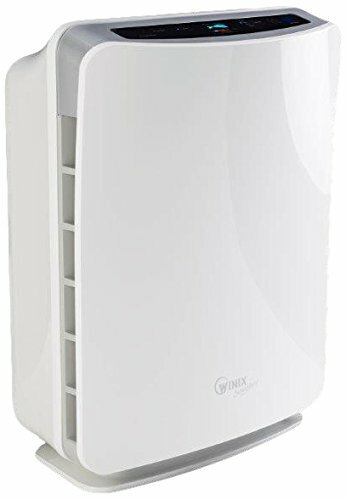 While they aren’t our top rated air purifiers, these models from Winix are a great choice in a few scenarios. Winix is the only company that produces air purifiers with Hydroxyl radical generators. Any of these models are good for a lot of purifying tasks. But, the 5300 model doesn’t come with an AOC carbon filter. Thus the other two are much more effective odor killers.